Triumph Tiger 1050 lowering kits by Lust Racing. Lowering your Triumph Tiger 1050 is easy with this lowering kit, replace the standard suspension links with the new Lust Racing suspension lowering bracket plates in this kit lowers the bike by 1 inch (approximately 25mm). The lowering is measured vertically from the rear axle to the upper part of the seat unit. Now also a -40mm kit available for the Tiger 1050! Lust Racing lowering kits are made in out of roll-forged steel and stronger than the standard suspension dogbone links they replace. Fitting a lowering kit will increase high speed stability and increase rear wheel traction (grip). As the seat height of the Triumph Tiger 1050 is fairly high these kits are excellent for short and medium length riders. No need to tip-toe on the bike. Manufactured in Britain by Lust Racing Ltd.
Thriumph Tiger 1050 lowering kits from Lust Racing comes complete with installation instructions. 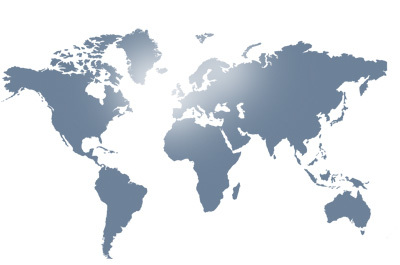 Installation by professional takes less than 30 min. 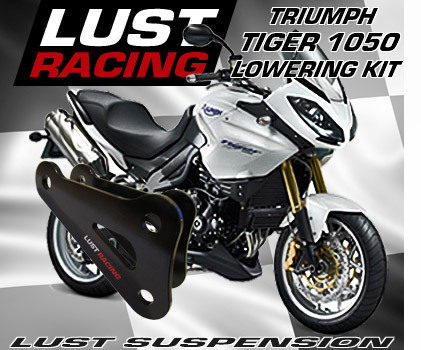 The Lust Racing lowering kits for Triumph Tiger 1050 are available for bikes manufactured between 2007 and 2013.